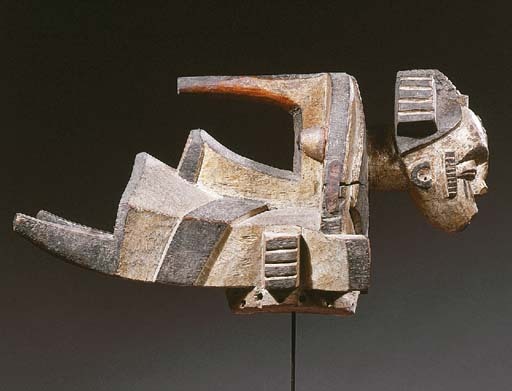 This mask is known as the Ogbodo Enyi, or elephant spirit mask, and its commonly danced by masquerades during festivals as well as funerals of important leaders. The age grade societies that dance this masquerade range from youths to elderly men, and in some very rare cases, its even allowed to be danced by women, such as in the community of Nkaliki. To my knowledge, this is the only masquerade in Ala Igbo that can be danced by both men and women. 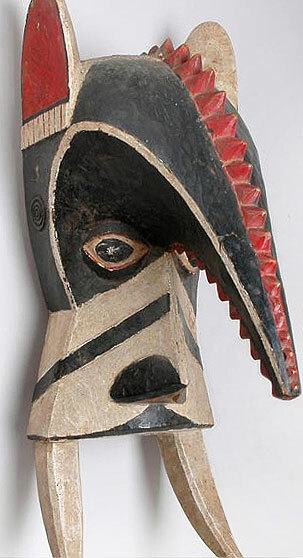 Variations of the mask will sometimes have a carved human head on the other end, which is called ntekpe. These types of Enyi Ogbodo are usually only reserved for senior age grades, which is an indication of the group with the highest spiritual authority.